1:5:10:097 Tip: Many snail baits are extremely toxic to pets, children and the environment. A safer alternative is iron phoshate in pellet form. Sluggo slug & snail bait claims to be the only control product for these pests that is not based on the toxin metaldehyde. 1:5:10:096 Tip: Copper foil tape can be used to protect potted plants, trees and garden areas from encroaching slugs and snails. As they slime their way onto the copper they get a mild shock that repels them. It is important to use uncoated copper and not art copper which has a coating to protect it from tarnishing. The coating prevents the copper from repelling the snail or slug. 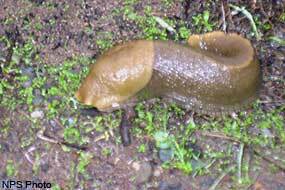 1:5:10:095 Tip: Slugs and Snails can quickly ruin a garden. Most baits for slugs and snails are quite toxic to pets, children and the environment. One nontoxic alternative is the beer trap. You can make one by sinking a can or jar up to its rim in the ground then filling it with an inch or so of beer. Tomorrow I will talk about keeping the slugs and snails out of potted plants. 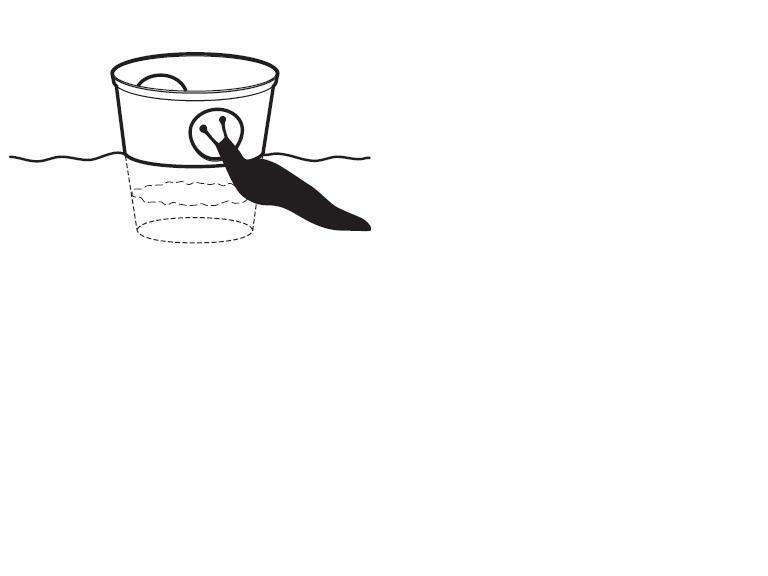 This pre-manufactured Garden Slug Trap uses beer as bait to trap slugs. I’ve used the can method described above for snails and slugs both, but not tried any of the premanufactured units. It doesn’t look like snails would be able to get into it. It is available from Clean Air Gardening.